The political coalition of influential Shiite cleric Muqtada al-Sadr took an early lead in Iraq's national elections in partial returns announced late Sunday by the Iraqi electoral commission. An alliance of candidates linked to Iraq's powerful Shiite paramilitary groups was in second. The alliance is headed by Hadi al-Amiri, a former minister of transport with close ties to Iran who became a senior commander of paramilitary fighters in the fight against the Islamic State extremist group. Prime Minister Haider al-Abadi performed poorly across majority Shiite provinces that should have been his base of support. Celebrations erupted in Baghdad's Sadr City, an impoverished quarter that is home to some 3 million people and is named after the cleric's late father, Ayatollah Mohammad Sadq al-Sadr. The younger al-Sadr campaigned on a cross-sectarian platform of fighting corruption and investing in services and struck a surprising alliance with the Communist Party in the capital. 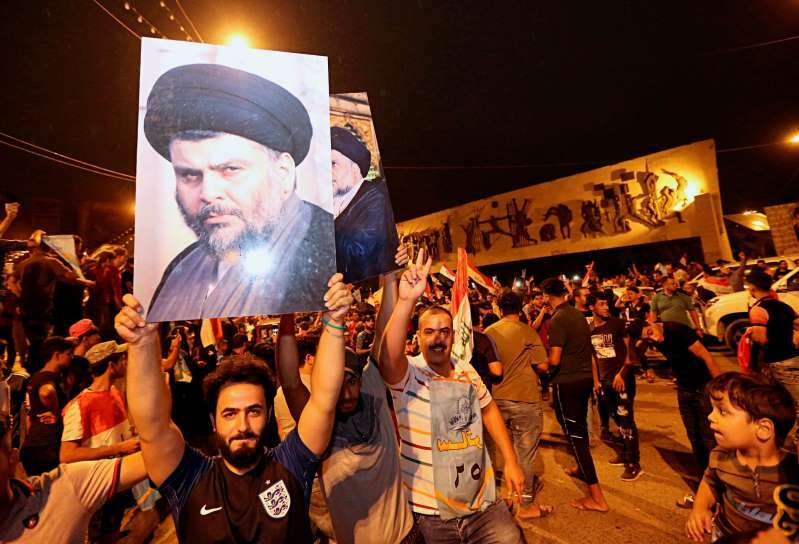 The strong showing could be a testament to al-Sadr's loyal base of followers he maintains who cast their ballots despite a general mood of apathy that kept many Iraqis away from the polls. Al-Sadr commanded fighters in the war against the IS group and headed a powerful militia that fought U.S. forces in Iraq prior to 2011, but his 2018 campaign focused on social issues and eliminating government corruption. The elections held Saturday were the first since Iraq declared victory over Islamic State fighters and the fourth since the 2003 U.S.-led toppling of Saddam Hussein. Officials said turnout was only 44 percent, the lowest ever since Saddam's ouster.